Three East Texas patients have received a newly developed heart valve at the ETMC Cardiovascular Institute for patients with aortic valve disease. Dr. Vivek Patel and Dr. Andrea Cooley recently performed the minimally invasive procedure with the new rapid deployment system for surgical aortic valve replacement. 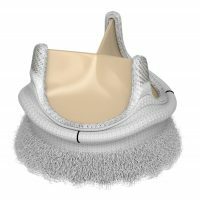 The new system only requires a few sutures compared to 12-15 in traditional valve surgery. The EDWARDS INTUITY Elite valve system was approved by the U.S. Food and Drug Administration last year and is now available for usage. According to the American Heart Association, aortic stenosis is one of the most common and serious valve disease problems. It mainly affects the elderly, due to scarring and calcium buildup and is expected to become a major health concern. More than five million Americans are diagnosed with heart valve disease each year. That’s according to the National Center for Health Statistics. Heart disease is the leading cause of death in the U.S., killing more than 600,000 Americans each year.